This is a great animator's gag drawing of Inki and the Lion from Inki and the Minah Bird (1943) with Woody Woodpecker. 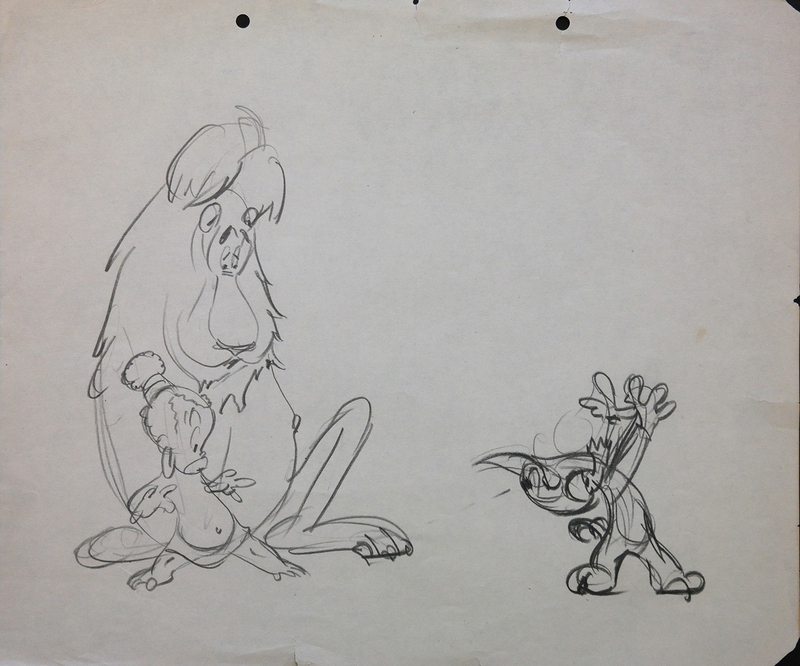 The short was directed by Chuck Jones. The untrimmed animation paper measures 10.5" x 12.5" and the image measures 7.5" x 10".